If you have a gift for music, as a vocalist or instrumentalist, come be a part of the Music Ministry here at St. Edward. 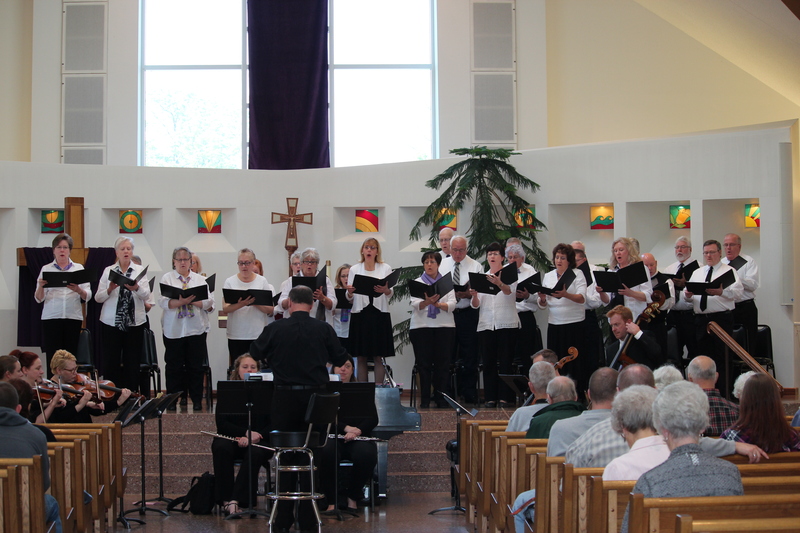 We think that you will find that is it much more than simply doing music for Sunday Mass. It is a group of people who come together to share faith and to sing of a new reality to which our faith points… We sing of a new reality, a new possibility. we sing of the reality that wars CAN cease, that true forgiveness IS possible, that the poor CAN be fed, that we CAN be one around God’s table, that people CAN change, that addictions CAN be overcome, that love CAN be faithful and self-giving…We sing the message of Jesus. Music here at St. Edward is ultimately about the whole Assembly’s voice lifted in song,…and that indeed is what happens here! The Music Ministers’ whole purpose, is to simply support the song of the Assembly and to inspire those who gather here as they seek to live out their faith in everyday life. If you are talented as a vocalist or instrumentalist we would love to have you as part of our Music Ministry! Singers who enjoy four-part singing come together to learn parts that will enhance the Assembly’s singing as well as to prepare special music to serve the liturgy. The choir sings at a different Mass each Sunday on a rotating basis throughout the year, except in the summer. The choir is open to all parishioners who can sing on pitch from grade 9 through adult. Rehearsals are Tuesday evenings from 7:30 p.m.-9:00 p.m.